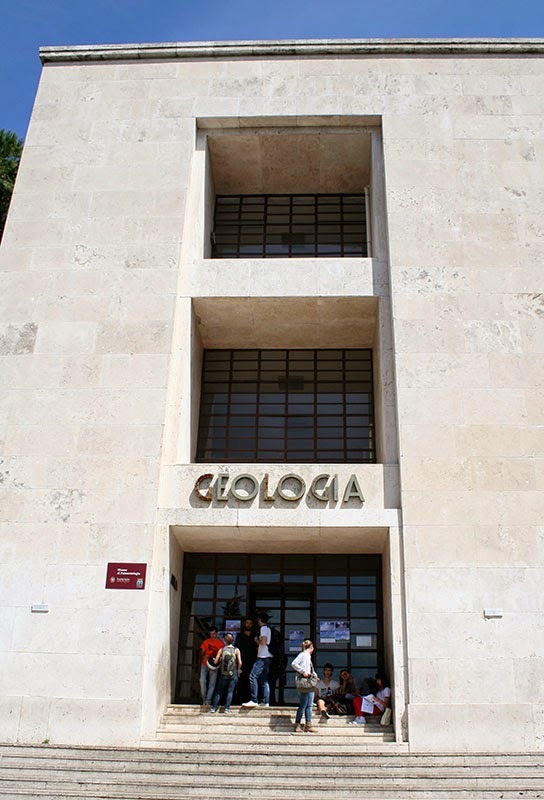 These pictures show a Tetragraptus fruticosus fossil specimen housed in a display case at the Geologia building located on the campus of Sapienza University of Rome. The case can be found on the second floor of the building. 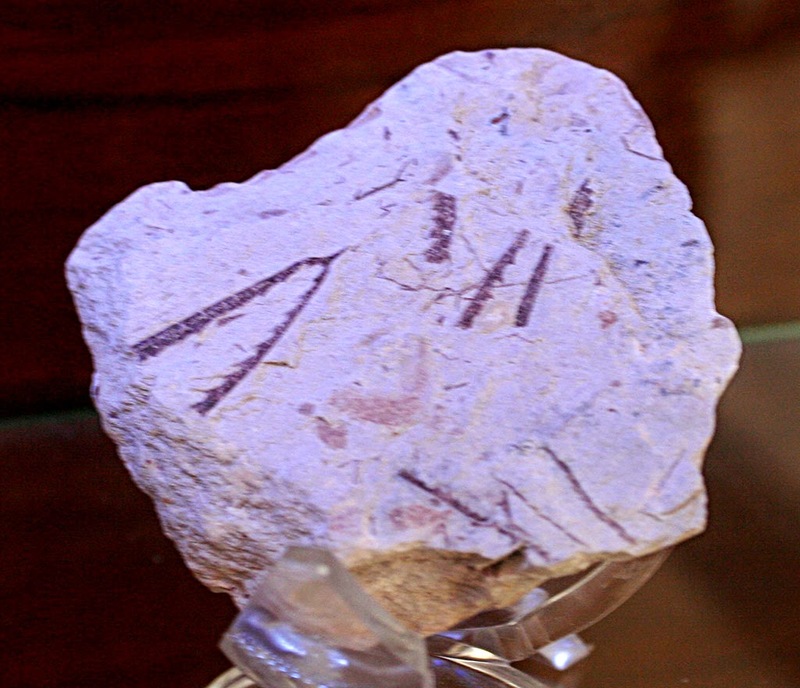 The fossil was found in Australia and lived during the Ordovician Period. The paleontology museum is on the 3rd floor of this building and has about 1000 fossils on display.